I was so impressed by last weeks visit to Shanrahan graveyard that I decided to head along to Tubrid/Tubbrid graveyard today and have a go at some graveyard recording for myself. Tubrid is another interesting place, thats well worth a visit. 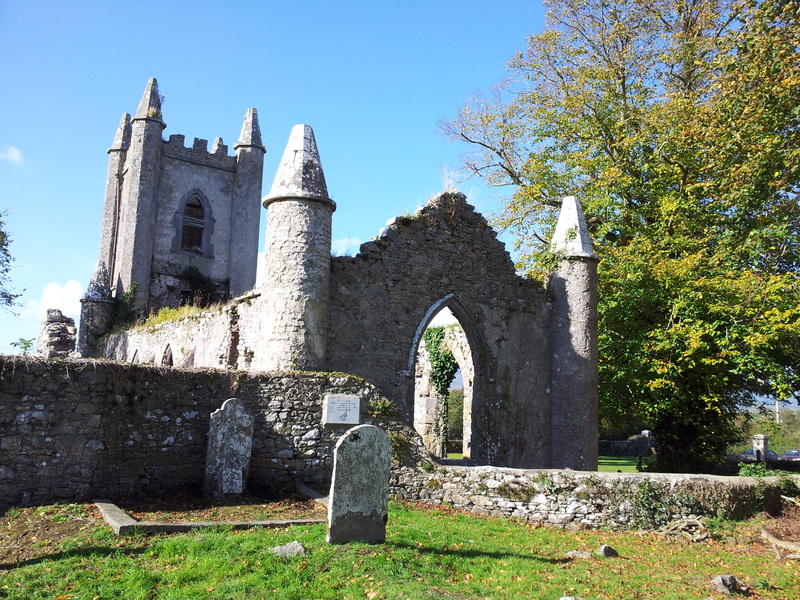 Today it consists of the ruins of a 19th century church of Ireland surrounded by a graveyard. 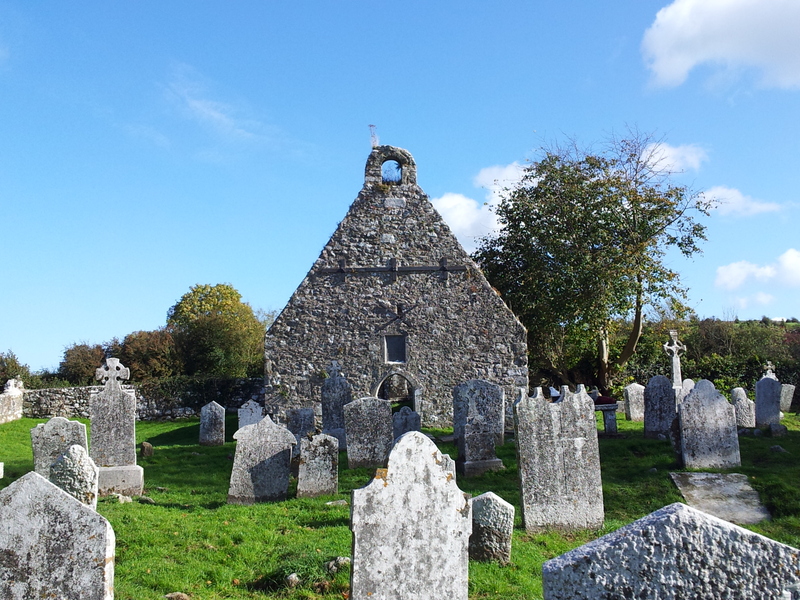 The graveyard contains a small 17th century mortuary chapel which is the burial-place of Geoffrey Keating the author of The Foras Feasa ( the history of Ireland). Keating was born nearby at Burgess townland. Over the door of the mortuary chapel is a latin plaque. Pray for the souls of Father Eugenius Duhy, Vicar of Tybrud, and of Geoffrey Keating, D.D., Founders of this Chapel ; and also for all others, both Priests and Laics whose bodies lie in the same chapel. In the year of our Lord 1644. 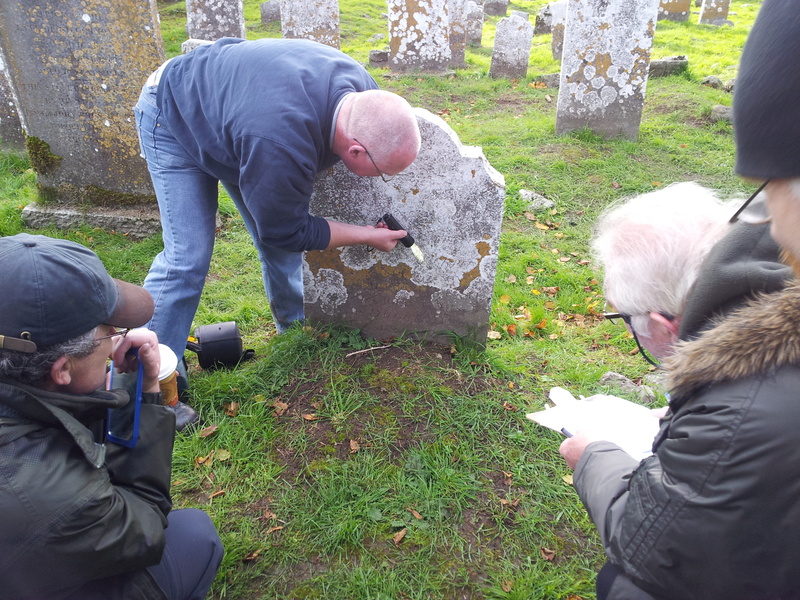 The graveyard is filled with really beautiful 18th and 19th century gravestones which I recorded with the help of other volunteers like Patsy McGrath, Michael Fennessy and Deirdre Walsh and training by Historic Graves (http://historicgraves.ie/). 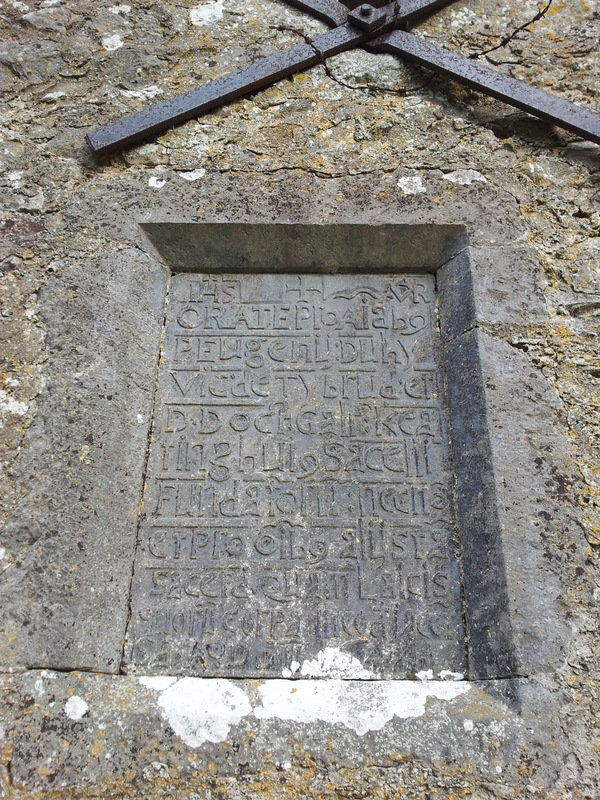 The oldest stone I came across dated to 1680. Some of the stones were difficult to read but John Tierney of Historic graves had a few trick using artificial lights that made the recording process easier. Mark Ryland recording a grave inscription. 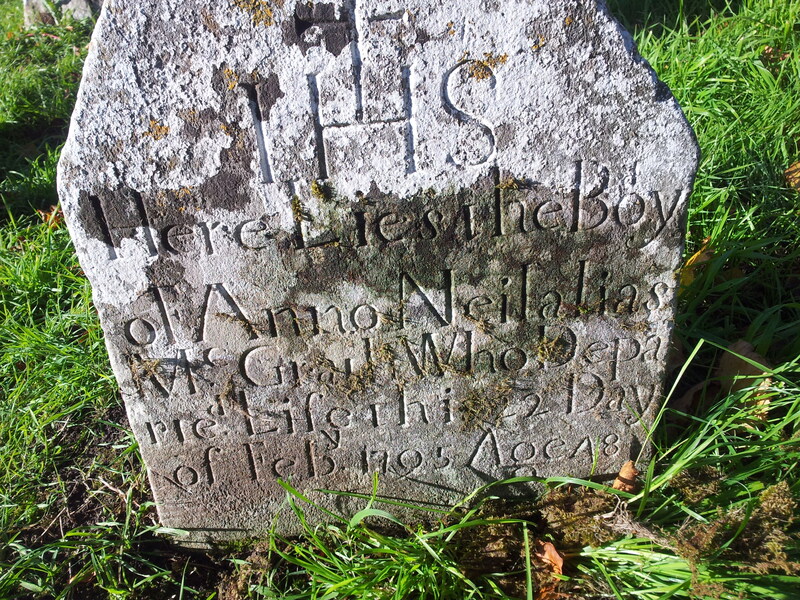 Here Lies the body, of Anno Neil alias McGrath, who departed Life this 22 Day of Feb 1795 Aged 48. Many of the gravestones are decorated with beautiful imagery, below is one of my favourite decorated gravestones. 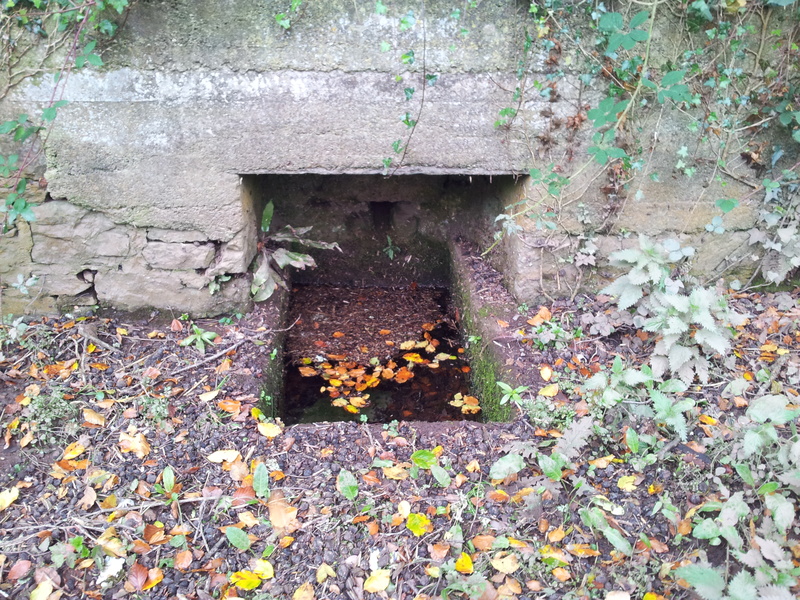 I also visited the nearby holy well of St Ciarán, which is a few 100 yards down the road on the banks of the Thonoge River. This is not Ciarán of Clonmacnoise but Ciarán of Tubrid/ Ciarán son of Eachaid of the Decies. Power (1914) noted the nearby graveyard and church was called Cillín Ciarán or Ciarán’s little church. Ciarán is mentioned in the Irish and Latin Lives of St Declan. The Irish Life tells how Declan baptised Ciarán at the near by holy well when he was an infant (Power 1914). And it was this child, Ciaran Mac Eochaid, who founded in after years a famous monastery (from which he migrated to heaven) and another place (monastery) beside. He worked many miracles and holy signs and this is the name of his monastery Tiprut (Power 1914, 59). O’Riain (’2011, 174) notes he is also mentioned in the Life of Tighearnach of Clones, whom he accompanied to Tours( the shrine of St Martin) in France. Shortly before the trip he resuscitated a daughter of the king of Munster named Eithne ‘ possibly the eponym of Temple-etney, near Tubrid’ (ibid). ‘The Holy Well of Tubrid, a large circular basin at which stations were formerly made, has recently been enclosed by a wall. A public pump too has been erected in connection with it’ (1914, 175). Today the well is a rectangular shaped trough built into a retaining wall at the edge of a hillside. The top of the wall is covered with concrete. At the back of the well recess is , a stone spout which carries water draining off the hillside which fills the trough. A local lady from Ballylooby told me that within memory school kids at Ballylooby were given the day off on the saints feast day and people would visit the well . Mass was said here until about 10-15 years ago but the tradition of stations had died as Power noted in the 1900’s . Power, Rev. P. 1914. The Life of St Declan. London: Irish Text Societies. Power, Rev. P. 1937. Waterford & Lismore. A Compendious History of the United Dioceses. Cork. Cork University Press. 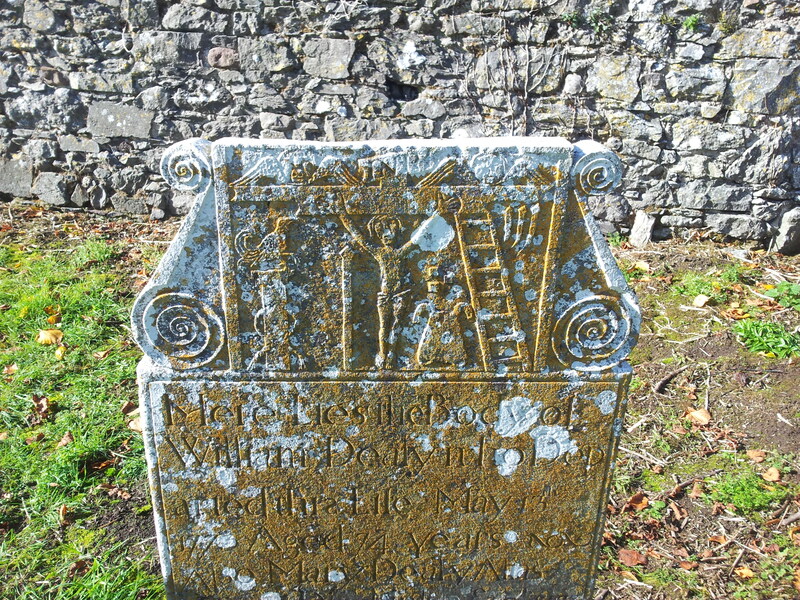 This entry was posted in Community Archaeology, Holy Well, Medieval Pilgrimage and tagged 10th November, gravestone recording, St Ciarán of Tubbrid, St Declan, Tubbrid, Tubrid.